At Coldstream Adventures Snowmobile Tours you will experience the backcountry magic of winter on their totally private and groomed trails. Coldstream Adventures Snowmobile Tours are located in northern Sierra’s Coldstream Canyon west of Truckee California and promises their guided tours will be an exhilarating addition to your visit to Lake Tahoe and Truckee. 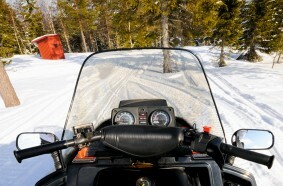 For the more adventurous type they offer backcountry snowmobile tours with overnight lodging. Since 1995 they have been providing snowmobile tours through beautiful Sierra Mountains.